For those not familiar with the intricacies of the South Bay real estate market, many of the cities can look similar on paper and the only real difference appears to by the proximity to the beach….. But what a difference that proximity can make. While posting articles on the March 2016 home sales in both Manhattan Beach and Torrance, CA, the differences couldn’t have been more clear. Both cities offer great locations, great weather, great schools and are highly sought after housing markets. When it comes to home prices, however, there is no comparison. 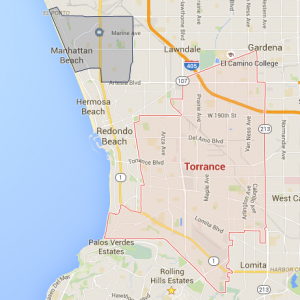 Torrance saw 109 home sales in March of 2016 with the average list price of $648, 831 and the average sales price at $648,460. Manhattan Beach saw 34 homes sell and close escrow in March of 2016 with only one of those homes selling below $1,000,000. The average list price of $2,675,985 and the average sales price at $2,657,132 which again shows that very few homes are selling below list price. The difference in both list and sales price was over $2,000,000 for towns separated by 1.01 miles in the closest spot. See the many reasons why Manhattan Beach property is so valuable.